Social Media Marketing (SMM) is a part Search Engine Marketing. Here, we use various approach to creating public relations through social media, online communities and community websites. With growing development of Web 2.0 and online communities, SMO has become as a key strategy for websites to bring targeted traffic to the websites. We at Scary Seo Services offer helpful and efficient SMO services. Contact us now if you want to make your business successful. We promise you to bring fruitful results for your website. However, a badly directed SMO strategy can spoil your website as well as business. Support from a social media optimization company can be helpful in such a scenario. We at Scary Seo Services are leading SMO and Social Media Optimization (SMO) services provider. 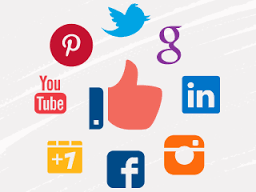 We are serving multiple clients and developed many successful social media optimization services from last many years. If you are concerned about high cost of SMO services, rest assured for delivering excellent and cost-effective social media optimization services. Do you need virtual publicity? You are at right place. Scary Seo Services specializes in SMO (Social Media Optimization) services. We are very well aware how to bring the genuine traffic to your webpage. Whether you want to support a particular community into Myspace or Facebook or you wish to go viral with YouTube, Metacafe or Yahoo Videos. If you are interested in SMO packages, we are here to provide best services at cost effective approach. We have especially used this marketing strategy with a website we have been working with in the Utah real estate industry. They have seen a lot of success in that field. They have had several more clients contact them wanting to buy real estate.